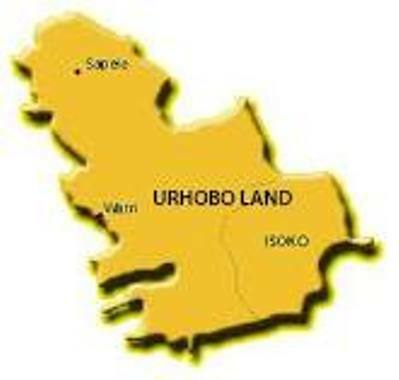 LAGOS MAY 29TH (URHOBOTODAY)-Group under the aegis of Urhobo People’s Right Monitoring Group (UPRMG) has giving Petroleum Development Company Limited (NPDC) conditions on which it would be allow to continue exploration oil in Urhobo communities of Delta State. They gave the oil company seven days ultimate to meet with representatives of the different Urhobo oil producing communities, threatening that failure for the company to comply with their request means they must have to vacate Urhoboland as they would be considered as trespassers whose leases over the lands have expired. The group in a statement signed Chief Sylvester Kowho and Barr. Alfred Serumeh demanded for discussion among eleven other items, the one million US dollars contracts to be exclusively reserved for indigenous contractors. According to the statement, “Others include publications made for those contracts should be suspended in the case of OML 30 and 34 pending NPDC meeting and negotiation with this body. A demand for 100% of unskilled labour, 80% for semi-skilled and management professional, 80% job slots for the people in Urhobo oil communities. The group which advised that NPDC must relocate back to the communities where SPDC has been operating in OML 30 and 34, also demanded that NPDC should immediately enter into meaningful and transparent negotiation with Urhobo oil producing communities on oil field by oil field basis and rejected what it described as the muddled up and divide-and-rule type of GMOU in which more than fifty communities with different oil facilities were lumped up in the name of GMOU. The group said the Communities who chose to employ experts to negotiate for them must be allowed to do so, while NPDC should commence immediate payment of expired leases and rentals to the various landlords in the communities. They noted with regret that when the Shell Petroleum Development Company sold her interest in Urhobo land sometime in 2010/2011, it ran away with billions of naira worth of unpaid expired leases and rents due to SPDC landlords in the area. They argued that all through the years SPDC perfected a tactics of divide and rule by which she made sure that the people were never united to ask for meaningful projects that would empower the people economically. “For example the sign board on which a borehole project of SPDC is written was usually more expensive and lasting than the borehole structure itself,” the group noted. The group observed that when SPDC was to sell its shares in the oil blocks, the communities showed interest and sought to buy part of the shares being sold by SPDC, but SPDC made sure that communities in Urhobo land never got to buy any till date.